Marijuana edibles are becoming a very popular form of cannabis consumption. Consumers have been able to choose from all sorts of gummies, tinctures and drinks since recreational sales began last July. 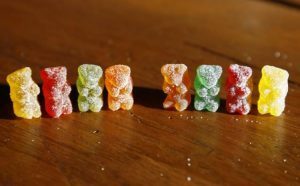 States like Colorado have refined laws concerning edibles to ensure that they do not appeal to children by making the sales of animal or human shaped edibles illegal. 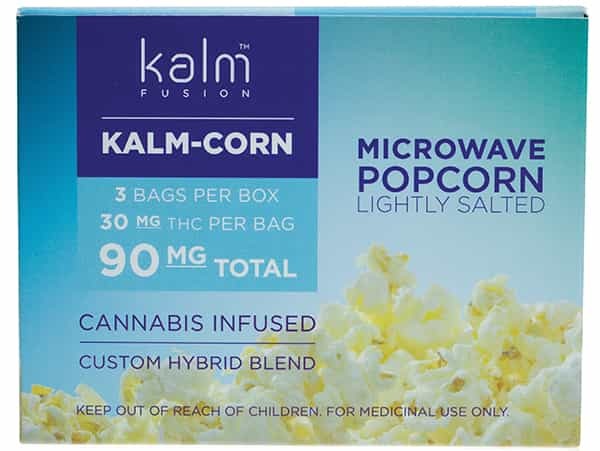 Kalm-Corn, a cannabis infused microwavable popcorn, could soon be available at dispensaries throughout Las Vegas and the rest of Nevada as the push to provide more products for consumers to choose from and normalize cannabis consumption continues. Kalm-Corn is manufactured by MariMed Inc. (OTC:MRMD). The Kalm-Corn product, along with powdered tinctures and other sublingual products, will be manufactured at Friday Night Inc.’s (CNSX:TGIF.CN) (FWB:1QF) (OTC:VPGDF) Alternative Medicine Association (AMA) property in Las Vegas after the two companies reached an exclusive agreement last year. Tinctures will be available as well where the infused powder is simply stirred into water or some sort of non-infused liquid. Consumers will be able to choose from a 25 mg CBD, a 10 mg THC or a 30 mg THC powder. These products are clearly intended to blend into the more normal products found in consumers’ homes, such as traditional microwavable popcorn or powdered iced tea products. People in the Las Vegas area searching for edibles near me should not have much of a problem finding them, especially as time goes on and the popularity of CBD infused drinks and THC infused edibles increases. Consumers are often confused by edibles effects since THC and CBD are metabolized at a different rate when swallowed versus being inhaled. Effects can take up to an hour before the consumer feels anything. People have been know to overdose on cannabis infused edibles after becoming impatient. There is no known cases of a marijuana overdose causing deaths but people have been hospitalized in the past. There is a large push to normalize the consumption of marijuana as seen by the packaging for Kalm-Corn, perhaps even more so than alcohol. Many people believe that alcohol consumption is worse for an individual that consuming cannabis and there is also the medical side of marijuana products. Hollywood is considered to be one of the most influential soft powers in the world and has for a long time worked on integrating cannabis consumption into society and to remove the negative stigma that has surrounded marijuana use. Movies like The Pineapple Express, or shows like WEEDS, have done a lot to highlight the dark side of the illegal marijuana market and the fact that many everyday hard working people are consumers of cannabis as well.